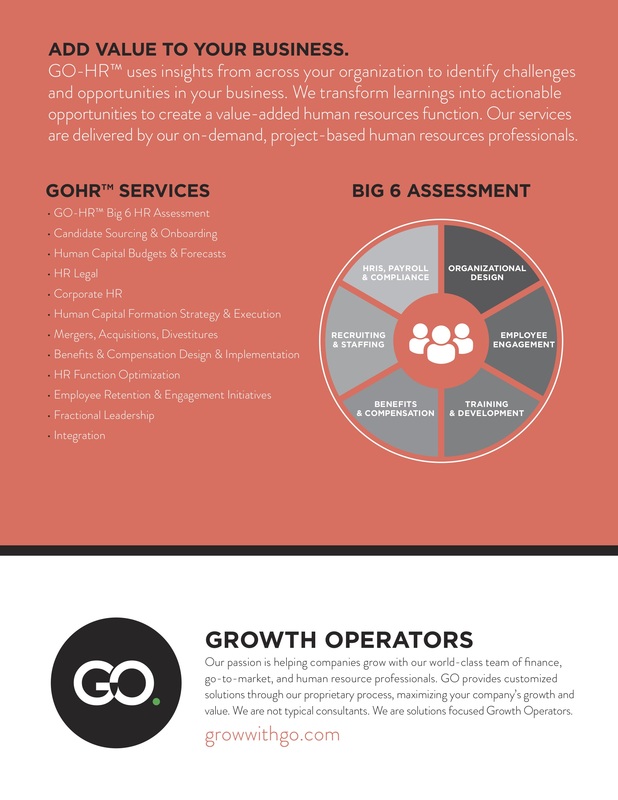 GO-HR™ is an on-demand human resources consulting firm. We transform businesses and elevate the HR practice by building processes, procedures, and strong internal controls that will endure. Our experienced professionals help you understand how to drive maximum growth through your most valuable asset, your employees.